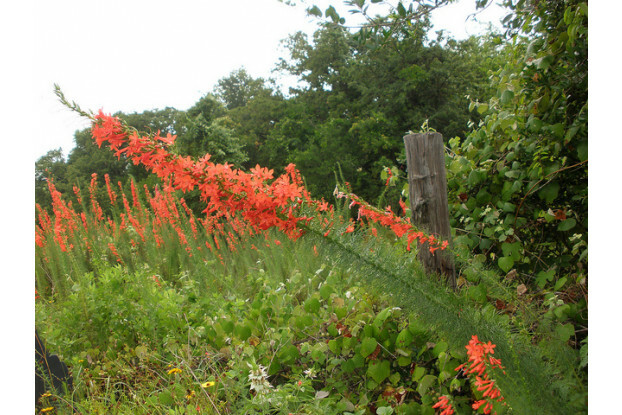 Standing Cypress, a native to the southeastern portion of the United States, is a biennial wildflower with a very upright growth habit. In fact, it can reach heights of six feet if left untouched. It produces a showy display of red, trumpet-like flowers that hummingbirds and butterflies can’t resist. Blooms from May to July. It prefers full sun or partial shade in sandy, well-drained soil. Standing Cypress is a great addition to any wildflower mix and adds height for stunning backdrops.